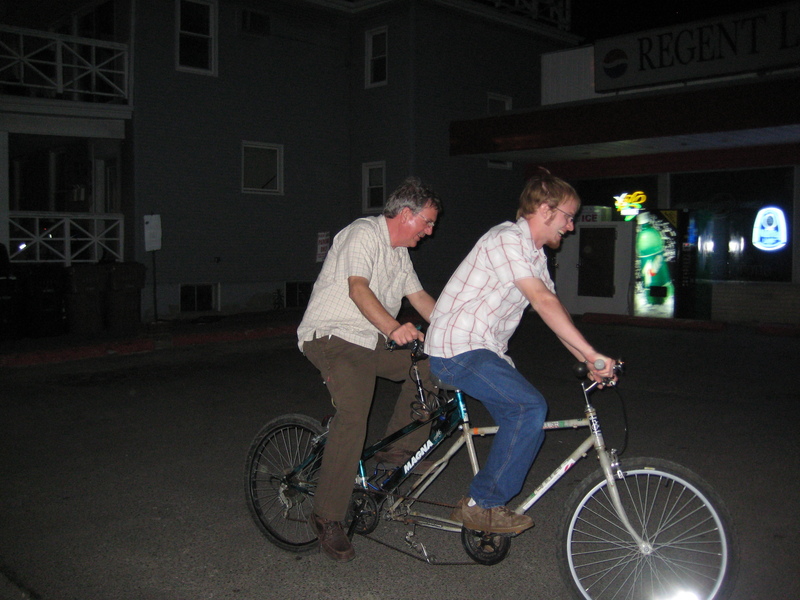 Build a Cheap Tandem Bicycle with Just a Welder! Own a welder? Have 2 junk bicycles? Ready to build your first tandem bicycle with just a welder and two bikes? Great! This project was originally inspired by a broomstick tandem I found on the web, built only from broomsticks and duct tape. I had a welder available, but the key is using the seatpost of the front bicycle in the steering tube for the rear bicycle as a pin joint. Check out the pictures below (click for full size). You don't need to build the beefy steel support for the center frame-stay, it really just needs to keep the frame from swaying side-to-side.